Ihsanullah (16 not out) and Rahmat Shah (11 not out) resumed on 29-1 in the morning, and the pair added 139 runs for the second wicket to take their side to within one hit of victory, before Shah was stumped by Stuart Poynter off the bowling of James Cameron-Dow for 76 off 122 balls, including 13 fours. 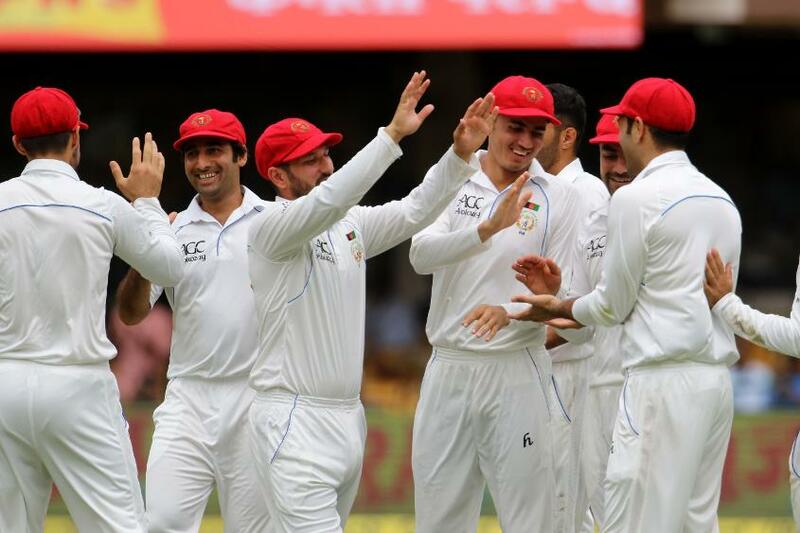 Mohammad Nabi was run out off the next ball trying to go for a second, but Hashmatullah Shahidi brought up the famous win off the following delivery, pulling Cameron-Dow for four over square leg off the first ball he faced. Ihsanullah ended his Test debut undefeated on 65 off 129 balls (8×4, 2×6), but it was Rahmat Shah who took the Player of the Match honours for his first innings 98 and second innings 76. ‘It was obviously going to be a tough ask defending 150. It was the first innings where it went wrong for us,’admitted Ireland captain William Porterfield. ‘Winning the toss was big so we had to capitalise on the first innings. If we’d done how we’d done in the second innings, then it could have been a completely different game. But credit to Afghanistan, they outplayed us.